Retox have premiered a new video for “The Nature Of Failure.” The single was previously released on very limited vinyl in December. Retox have announced a fall headlining tour. the band will also be joined by special guests He Whose Ox Is Gored, and Silent. Retox have premiered a new video for their song “This Should Hurt A Little Bit.” This song is from the band’s latest album, Beneath California, which was released on February 10. Retox have premiered a new video for their song “Die In Your Own Cathedral.” This song is from the band’s latest album, Beneath California, which was released on February 10. Retox have premiered a new video for their song “Without Money, We’d All Be Rich,” via TheFader.com. This song is from the band’s new album, Beneath California, which was released today (February 10). 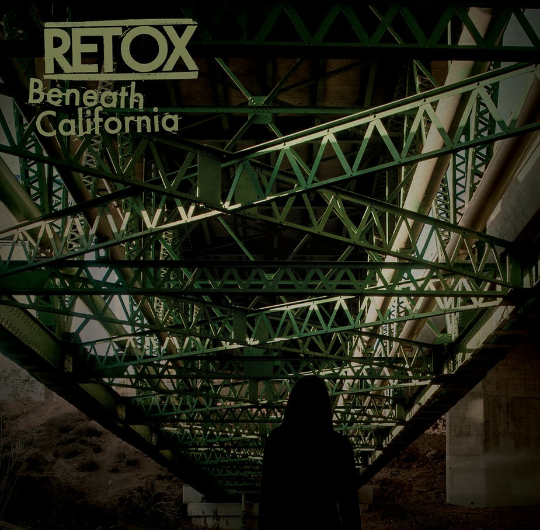 Retox are streaming their new album, Beneath California, in its entirety, via Dangerous Minds. The album will officially be released on February 10. Retox have premiered a new song titled “Disappointing Grade.” This song is from the band’s new album, Beneath California, which will be available February 10.